Keen to get your DIY on? 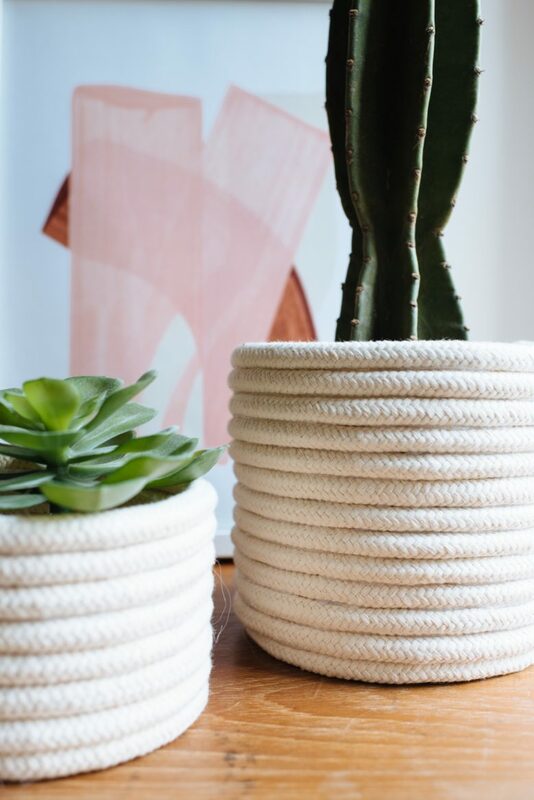 Rope is a beautiful and versatile material, and we’ve rounded up 14 of the best home decor DIYs using rope to inspire you! As Francesca from Fall For DIY says, “You can never have enough pretty pots to fill with pretty things right?”. Right! 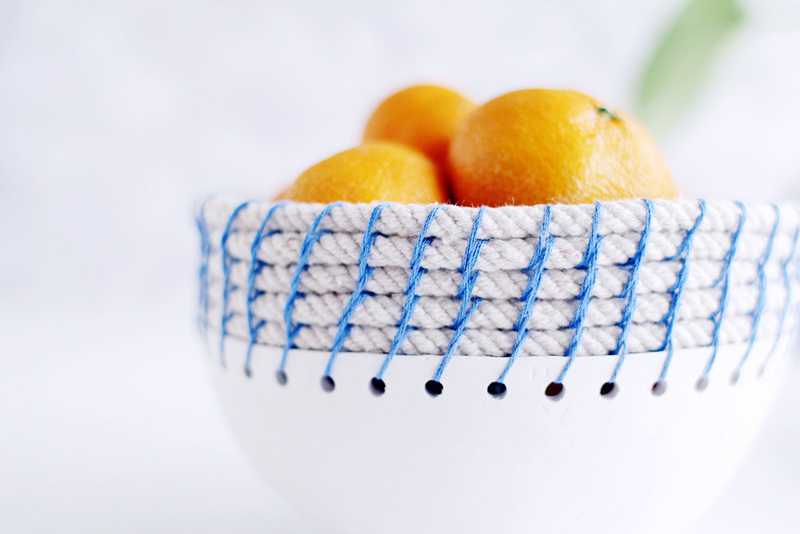 So starting this round up of the best home decor DIYs using rope is this oh-so-pretty clay and rope bowl she created. You could get as creative as you like with this tutorial, such as using gold thread instead of blue for a pop of bling, or even hand painting the clay bowl if you’d like to introduce more colour. Find the full tutorial and discover her incredible blog here. 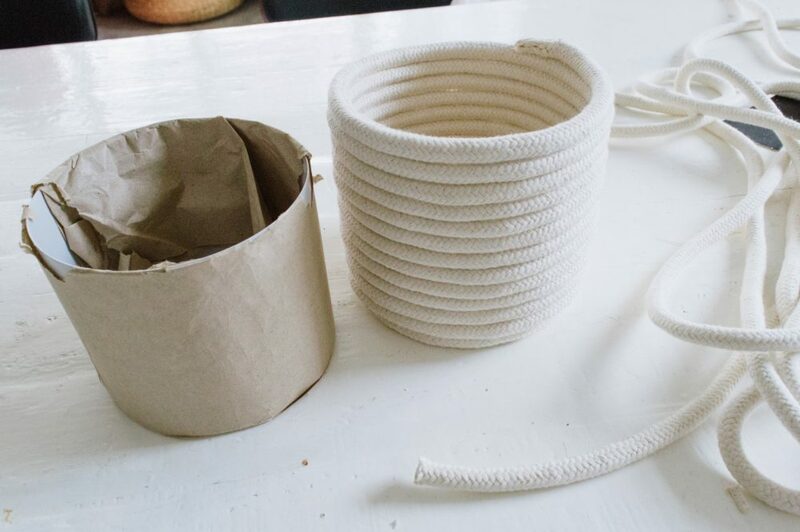 Jen from iheartorganising says this DIY rope basket tutorial is one of her most popular blog posts EVER! Although she admits that this DIY ended up costing more than she originally anticipated (because she bought high quality rope rather than using what she had at hand) and taking a bit longer too, she’s thrilled with the results. 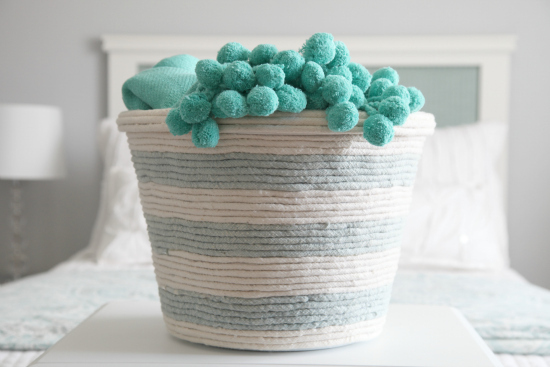 She says this DIY still cost a fraction of the designer basket she had her eye on and loves how it ties in with the colour scheme of her home. Check out her full tutorial here. 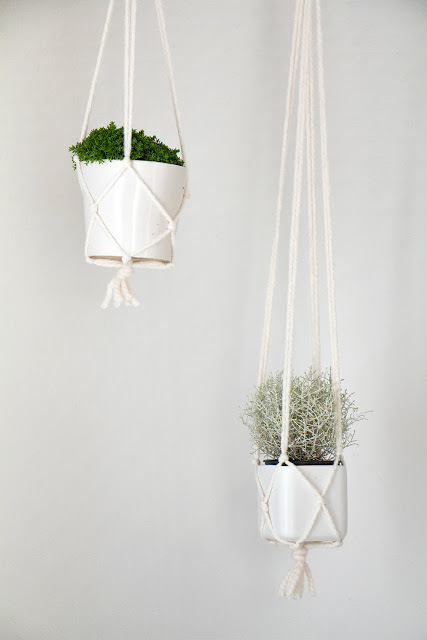 We’re all for bringing greenery into the home and while the red-hot macrame hanging planter trend may have subsided, we still think it’s a beautiful way to add a pop of greenery to an otherwise dull corner of the home. 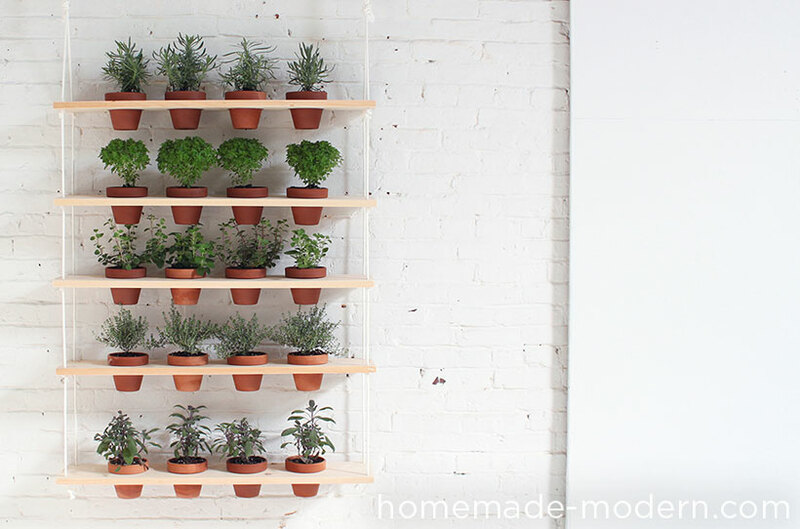 This simple DIY by chichidee is one of the easiest and most effective tutorials we’ve seen — we love that she kept it minimal so the plants can be the hero. Find her step-by-step tutorial with loads of photos here. 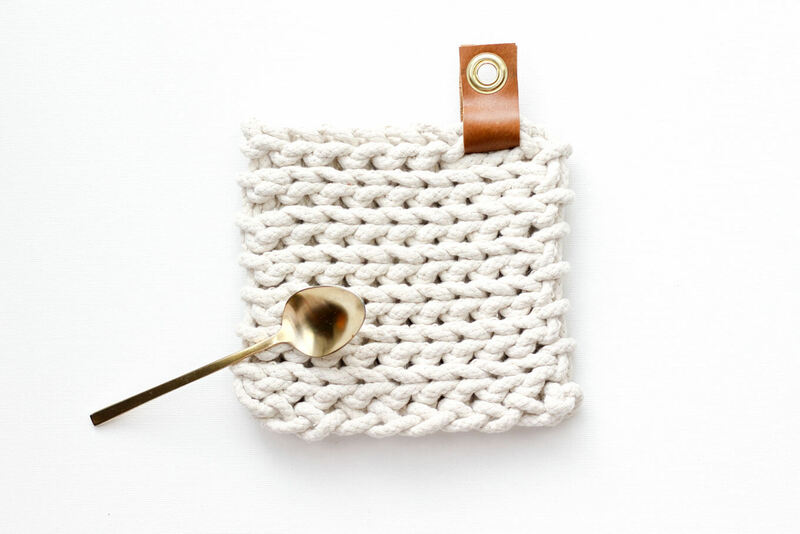 Keen to try your hand at crochet? 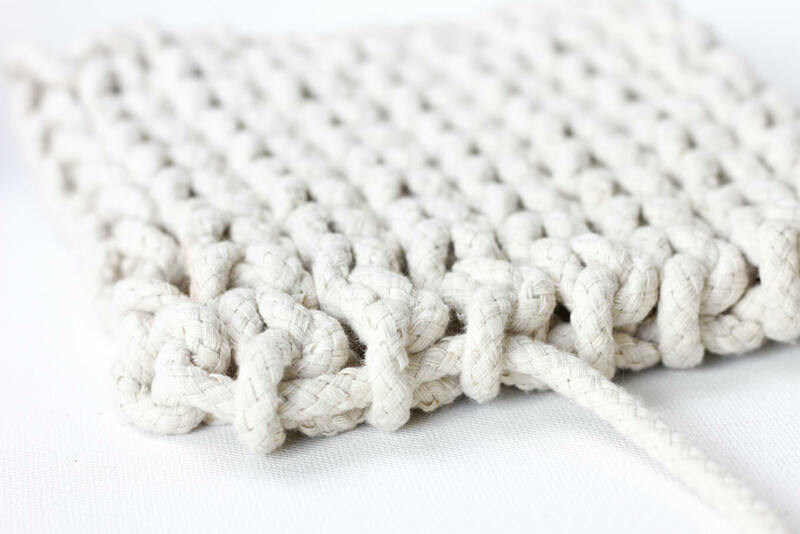 This might just be the simplest DIY tutorial to dip your toe in with. Jess from Make and Do Crew is all about making classic crafts modern and she certainly succeeded with this sweet trivet/coaster tutorial. Check out her tutorial here. 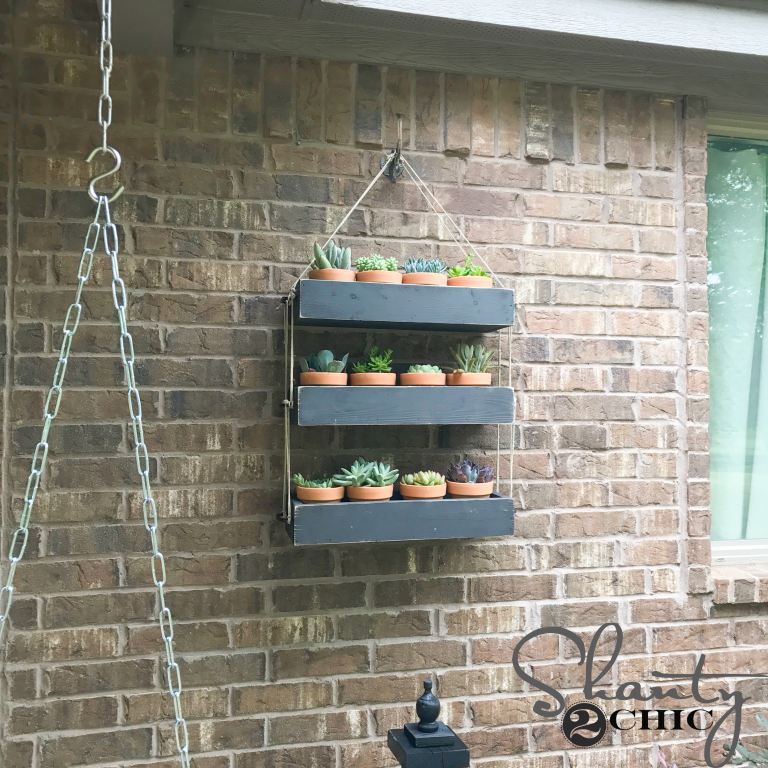 Another fab rope DIY for displaying plants is this outdoor hanging planter/vertical garden by the ladies at Shanty 2 Chic. 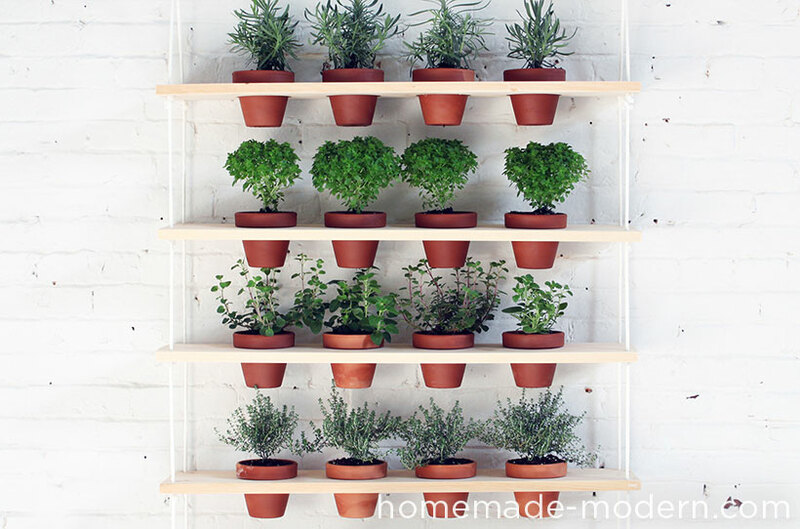 If you’re short on space or renting and do not want to create a herb garden on the ground, or you’re looking for ways to add interest to walls in an outdoor space, this sweet hanging planter tutorial might just do the trick. Best of all, they say it costs less than $30 to make! Find the tutorial with free printable plans and video here. 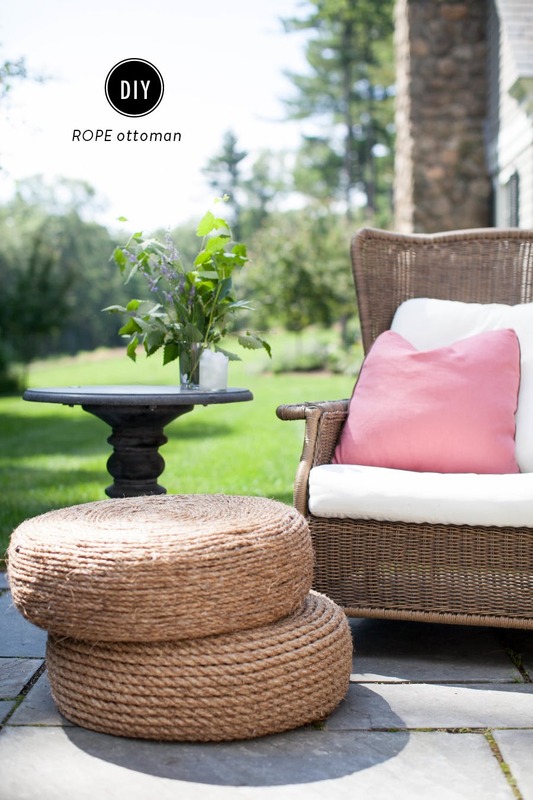 Staying outdoors, how stylish are these DIY rope ottomans the ladies from Style Me Pretty made?! 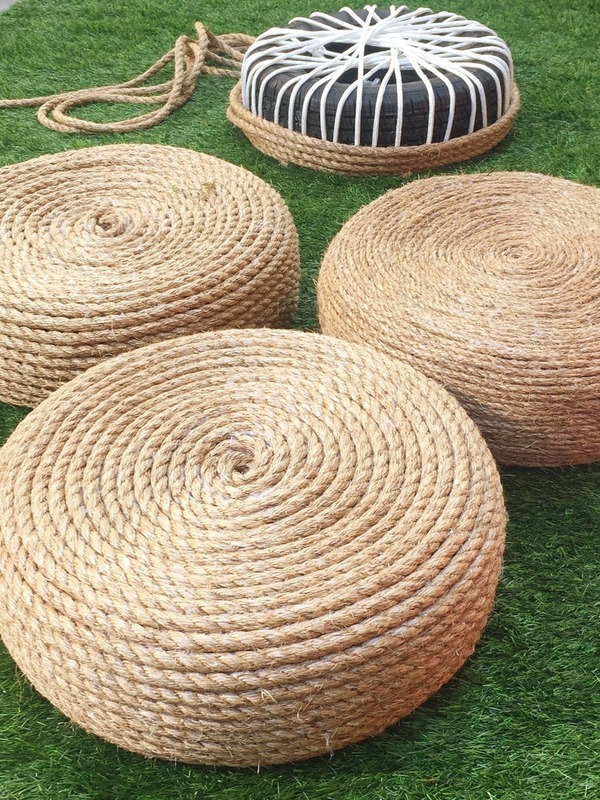 They upcycled old tyres using sisal rope and a glue gun to create these rope ottomans that could be used indoors or out. 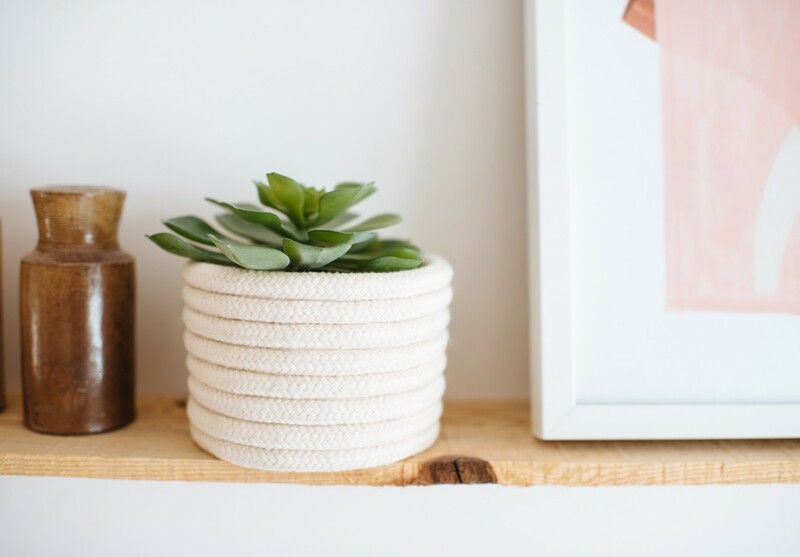 Another DIY by Francesca (who also made the clay and rope bowl above) is this super simple magazine holder. 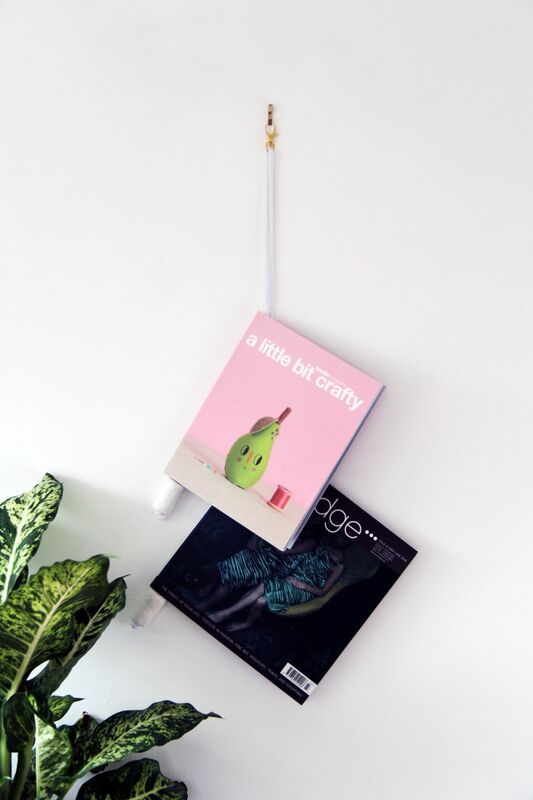 Using just some rope, clay and a clip, she’s come up with a clever way to display your magazines without damaging them. Find the step-by-step tutorial for this magazine holder here. 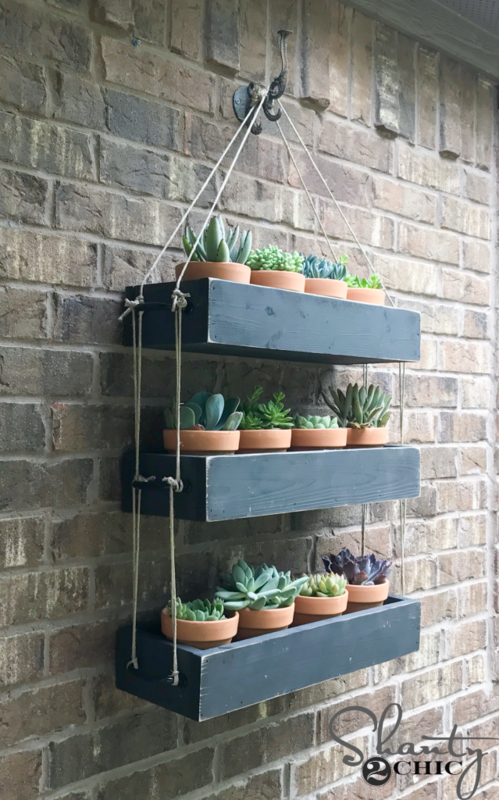 Using a similar concept as the hanging garden above, Ben from homemade-modern.com made a more refined and larger version for indoors. 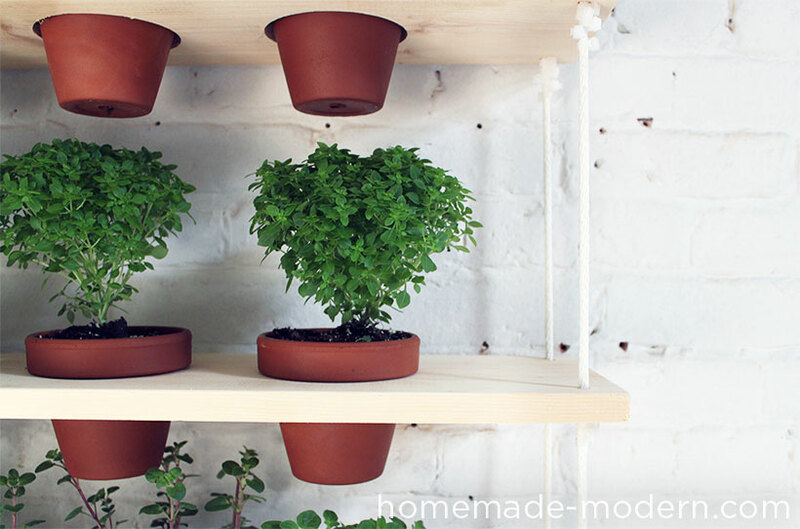 You need to have a little more confidence on the power tools (or be able to call on the help of someone who is) to create this DIY but it’s another low cost, high impact way of adding a big pop of greenery into your home. We could also imagine this piece working well in a commercial space. Find the full DIY tutorial with video here. 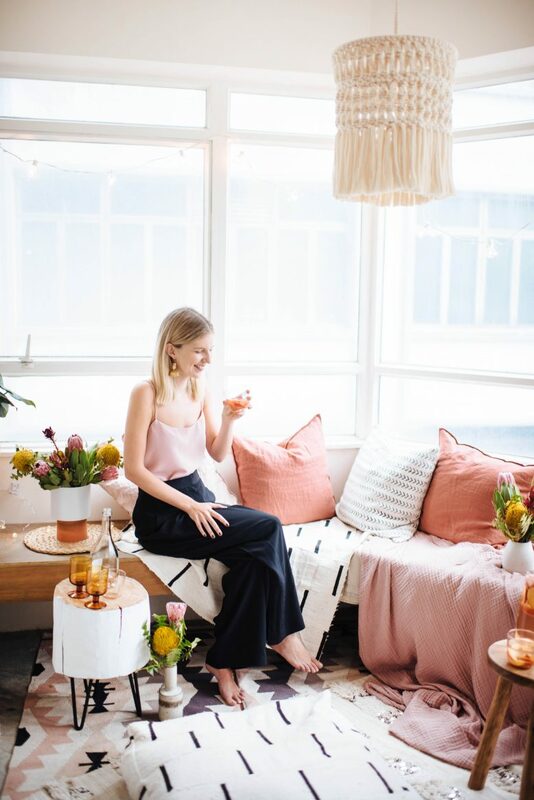 One of our favourite DIYers is Geneva from A Pair & A Spare as she always finds super stylish homewares to recreate, like this DIY macrame chandelier that she spotted at a local cafe. This chandelier would look great in a coastal, boho or eclectic home, and we could also imaging it looking super sweet in a nursery! 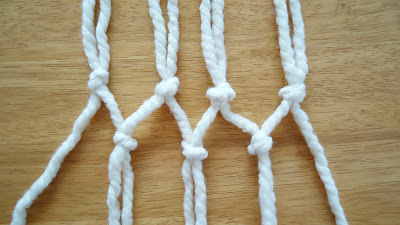 You can find all the steps including a link to her macrame knotting guide here. 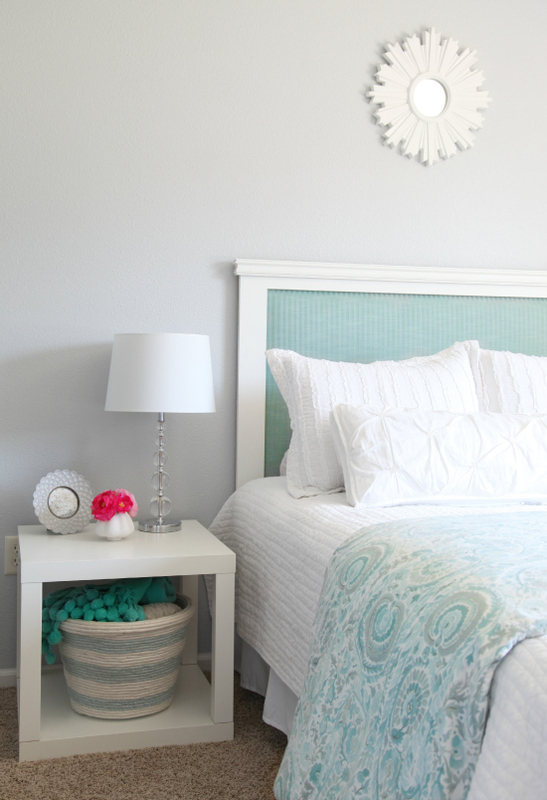 The best hacks are affordable, simple and stylish, and this one certainly ticks all 3 boxes! Using a standard white IKEA floating shelf, a piece of dowel and two lengths of rope, it’s been turned into a sweet nursery clothing rail. See more photos of this IKEA hack here. 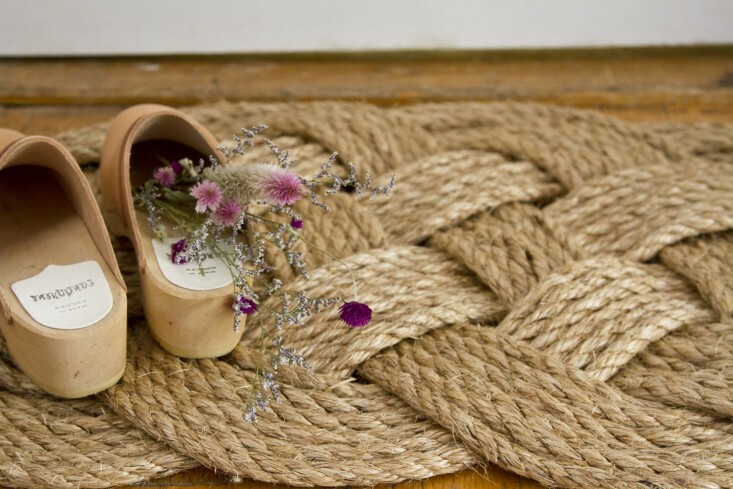 This door mat is almost too pretty to wipe your feet on. While it looks technical to make, Erin breaks down the tying technique step by step with photos along the way so you can easily follow along. 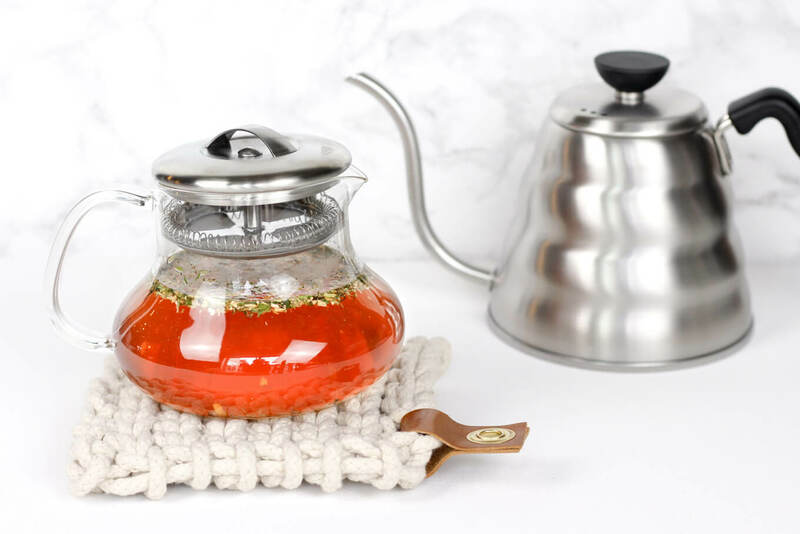 To be completely honest, this is a product that was for sale rather than a DIY tutorial buuuut we reckon most of you would be able to create your own version by simply looking at the photos (it seems it’s no longer for sale). 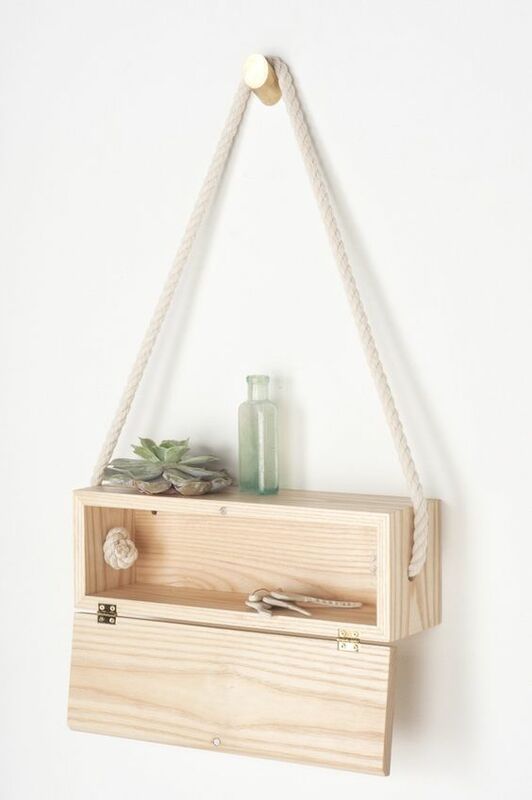 By creating a simple timber box with hinged front, and running rope through the top, you could make your own DIY rope box shelf. 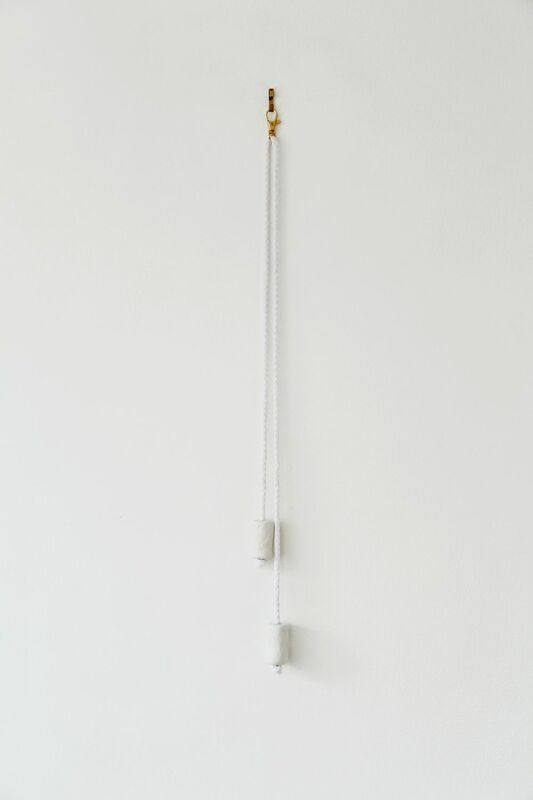 We love this idea in an entry of a coastal home as somewhere to put your keys and small trinkets. You can view the box shelf on Remodelista here. 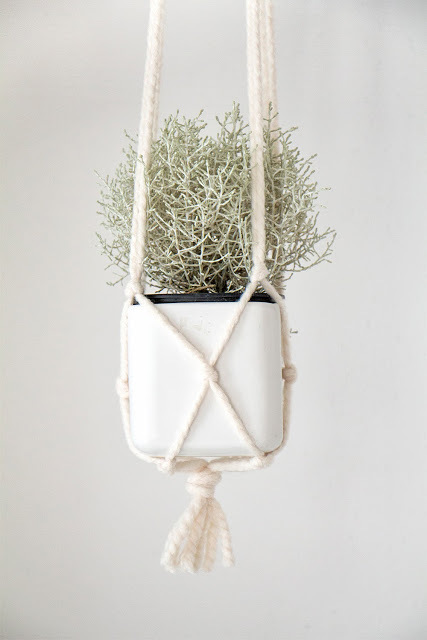 Or for an easier floating rope shelf idea, you can check out this one on the Burkatron blog. You’ve got to love a DIY tutorial that has huge impact but is also easy to make. 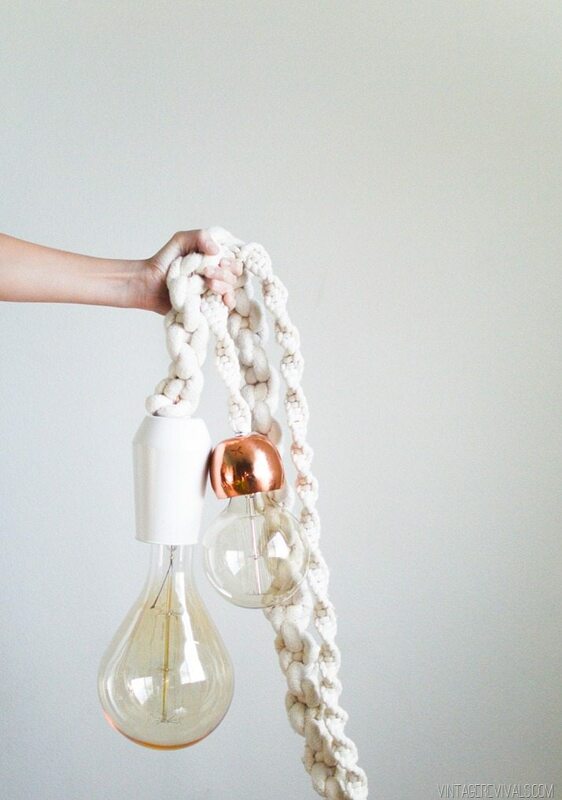 Mandi from Vintage Revivals assures us that these giant DIY macrame pendant lights couldn’t be easier to make and has created the best tutorial for you to follow along. 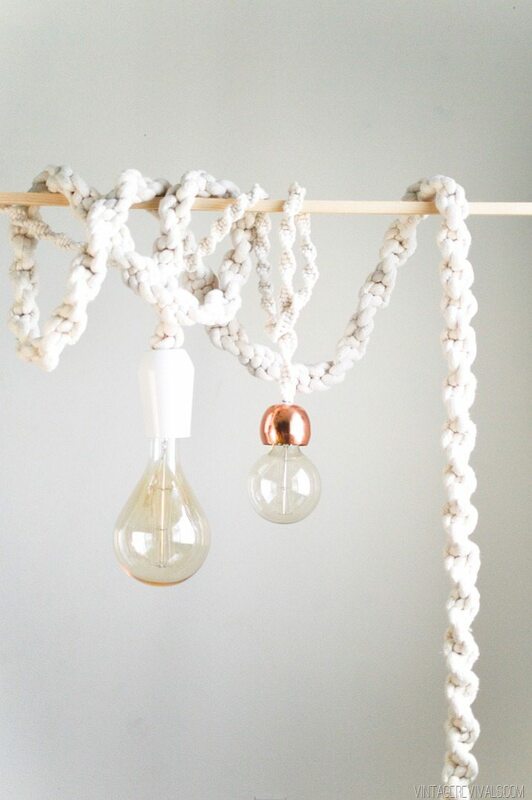 Check out her DIY with knotting instructions and where to shop the products here. “Say hello to one of the easiest DIY projects you’ll ever come across,” says Geneva of this sweet planter. 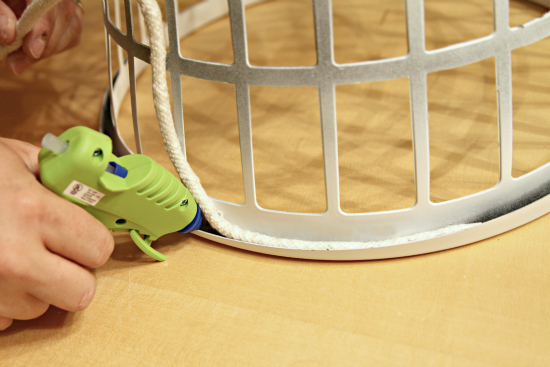 Requiring little more than rope and a glue gun, this DIY is also super affordable. 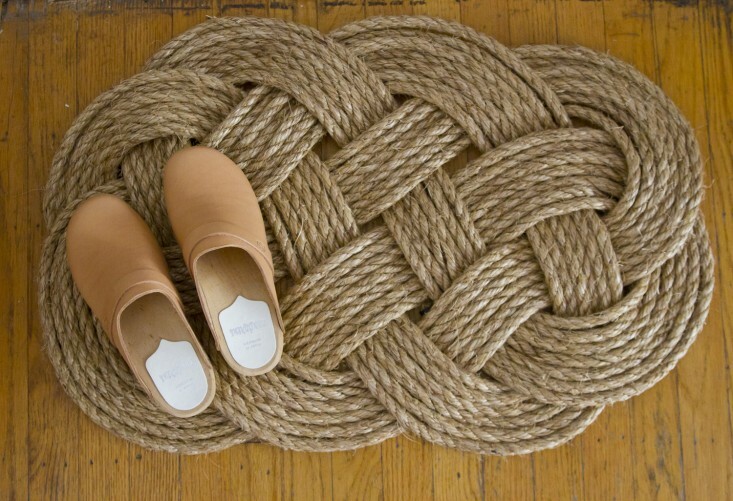 Have you seen any other fab home decor DIYs using rope? 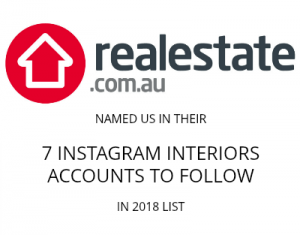 Share them in the comments below!